US actor Angelina Jolie (L) holds daughter Zahara as husband and actor Brad Pitt (C) carries son Maddox during a stroll on the seafront promenade at the historic Gateway of India, (R) outside their hotel in Mumbai, 12 November 2006. Brad Pitt and Angelina Jolie have six kids together. As it's reported that Angelina Jolie has filed for divorce from Brad Pitt, we look back at the couple's relationship. May 2004 – Brad and Angelina met while filming Mr and Mrs Smith. Brad was married to Jennifer Aniston at the time, while Angelina had divorced Billy Bob Thornton in 2003. March 2005 – Jennifer Aniston files for divorce from Brad. April 2005 – Brangelina were papped on vacation in Kenya with Angelina’s son Maddox, despite their reps still denying their relationship. June 2005 – The pair attend the Mr and Mrs Smith premiere together, but keep their distance from each other. They star on the cover of W magazine as a couple. Brad files to legally adopt Angelina’s children Maddox and Zahara. January 2006 – Angelina confirms she's pregnant with Brad’s child, Shiloh. March 2007 – The Jolie-Pitts adopt Pax, extending their brood to four. February 2008 – Angelina reveals at the Independent Spirit Awards that she’s pregnant for the second time. It is later revealed they are expecting twins, Knox and Vivienne. February 2010 – Accusations are made for several months that Brad cheated on Angelina. The couple went on to win a lawsuit against News of the World for reporting that they had split. June 2011 – Rumours speculate that Brangelina wed in France, although they were found to be untrue. April 2012 – The couple confirm their engagement, with Ange stepping out wearing an estimated $1m ring. May 2013 – Angelina reveals that she underwent a preventative double mastectomy. March 2014 – Brad wins his first Oscar for his role in 12 Years a Slave. 23 August 2014 – The pair wed in a secret ceremony in France. The Hello exclusive coverage of Brad Pitt and Angelina Jolie's wedding. March 2015 – Angelina reveals she underwent further preventative surgery, having her ovaries and fallopian tubes removed. 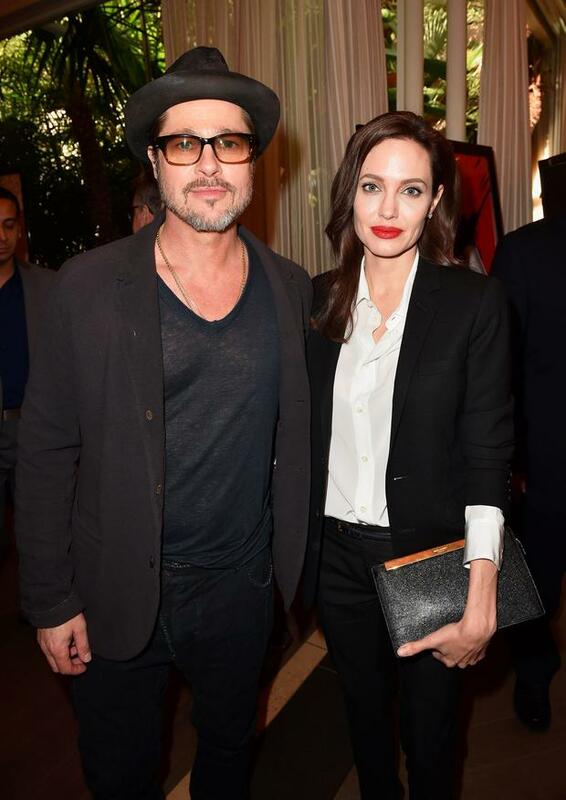 September 2016 – It is reported that Angelina has filed for divorce from Brad Pitt, after nearly twelve years together.